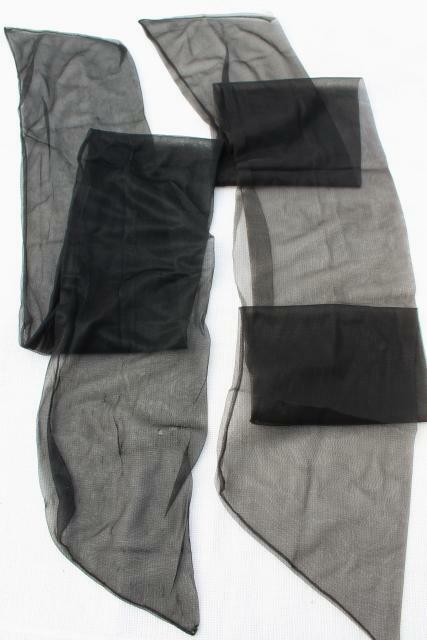 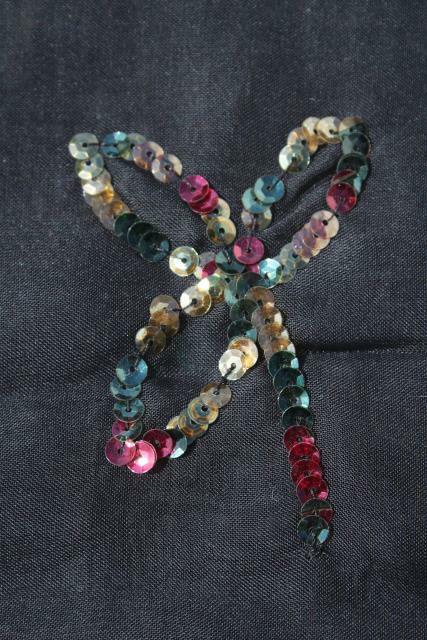 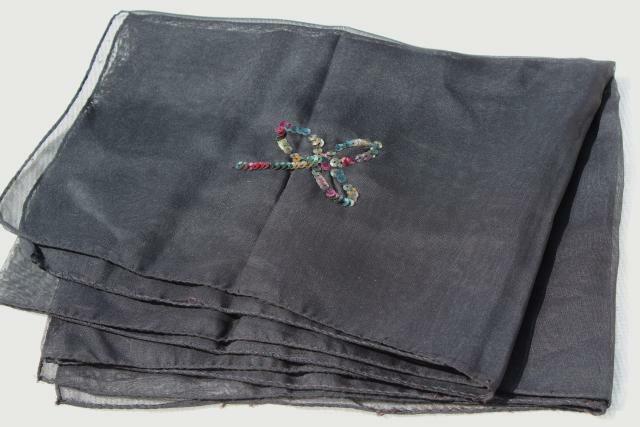 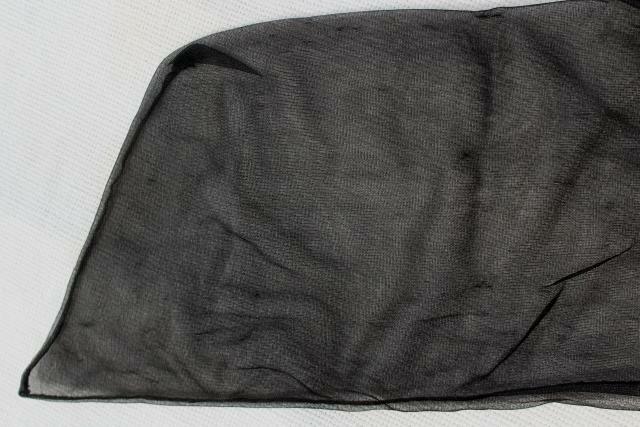 Estate lot of vintage scarves and chapel veils - five altogether, all black, all in very nice clean condition. 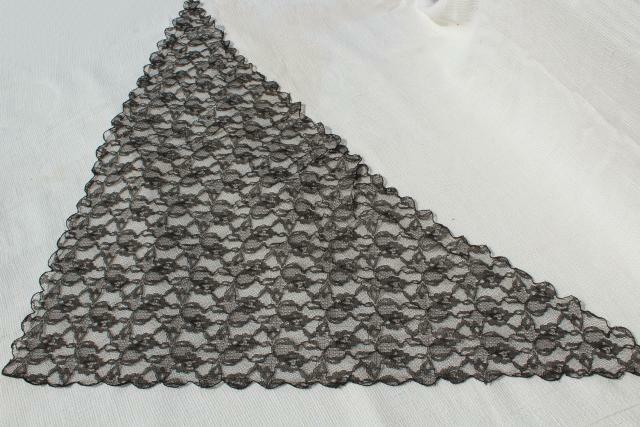 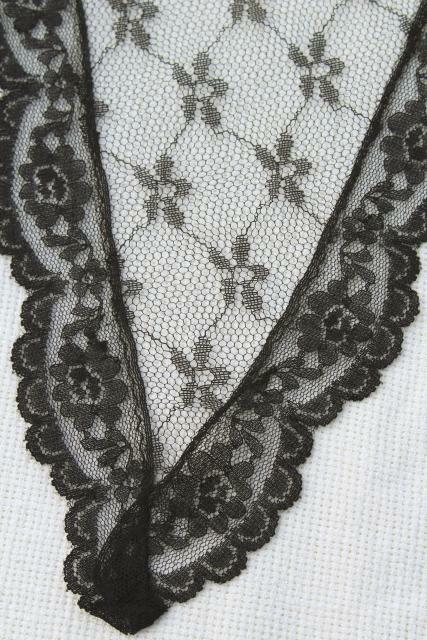 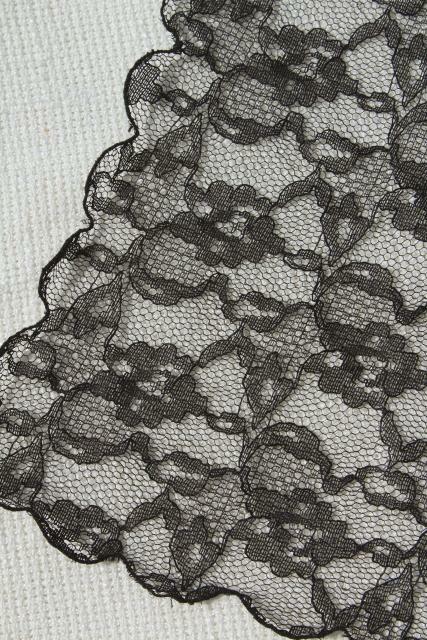 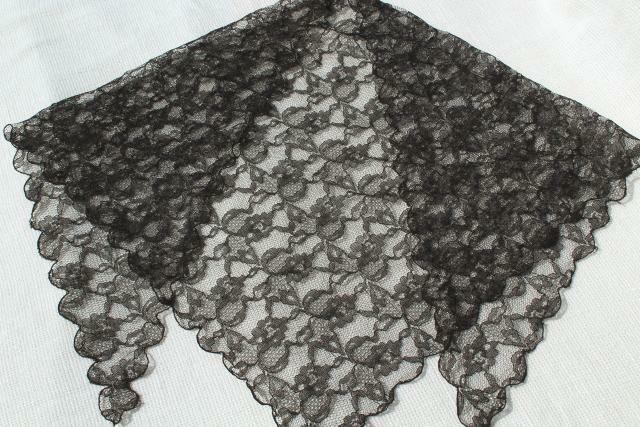 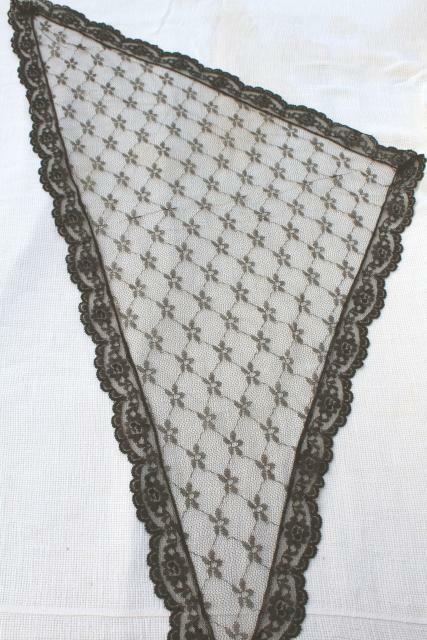 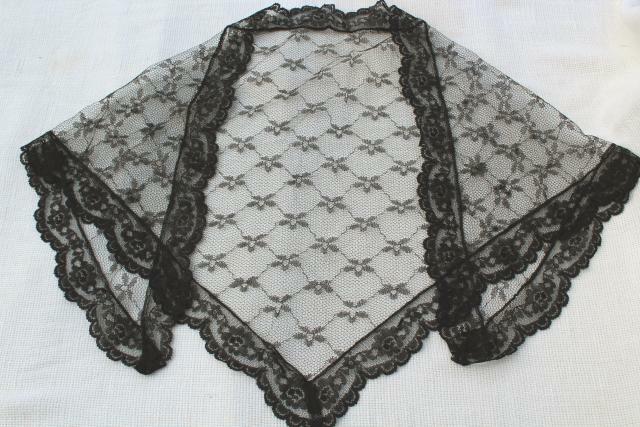 There's two triangular headscarves or mantillas, both black nylon lace. 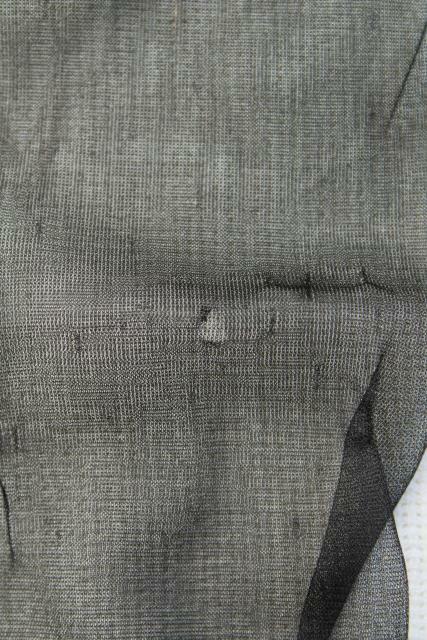 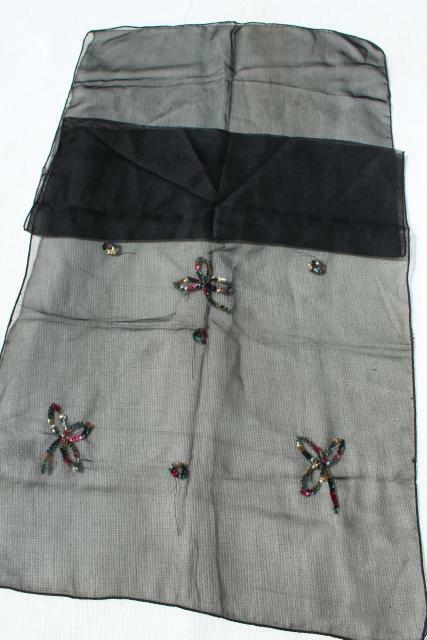 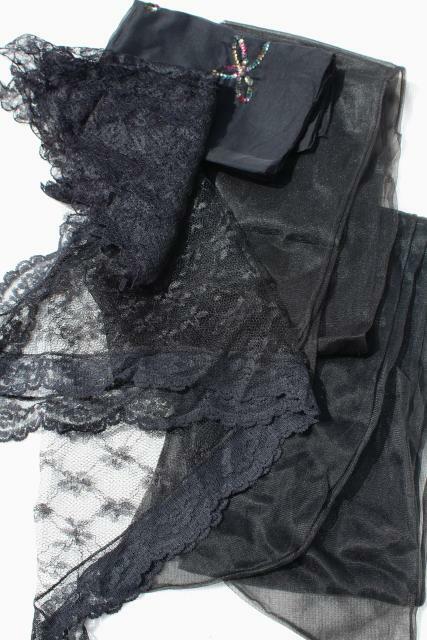 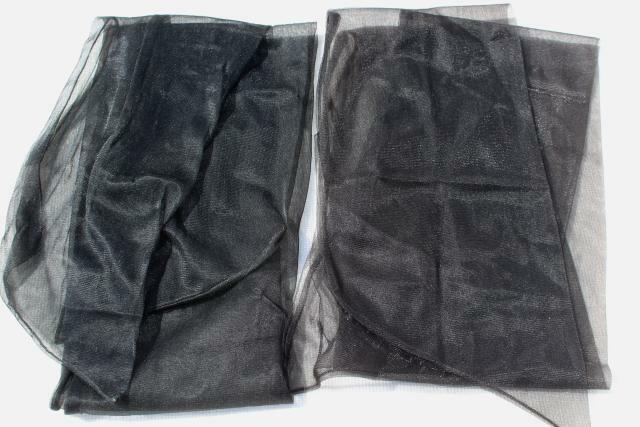 There's two long sheer black nylon rectangles, and a semi sheer poly rectangle scarf ornamented with sequins.